The provincial government of Bulacan, headed by Governor Wilhelmino M. Sy-Alvarado and Vice Governor Daniel R. Fernando, recently had a special moment with the chairperson of the Commission on Audit. COA chair Michael G. Aguinaldo graced the commemoration of the 92nd Birth Anniversary of the great son of Bulacan, Blas F. Ople, and served as the event’s guest of honor. 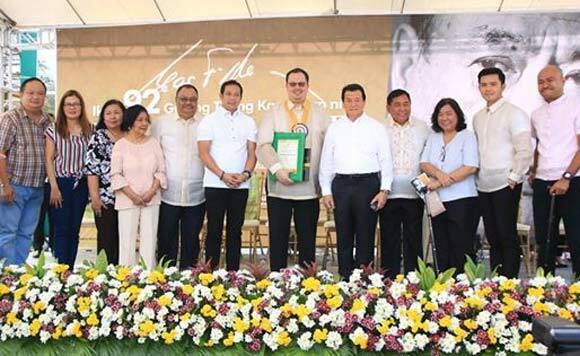 In return, the top two provincial officials gave Aguinaldo a certificate of appreciation at the Livelihood Training Center of the Capitol Compound in Malolos City.